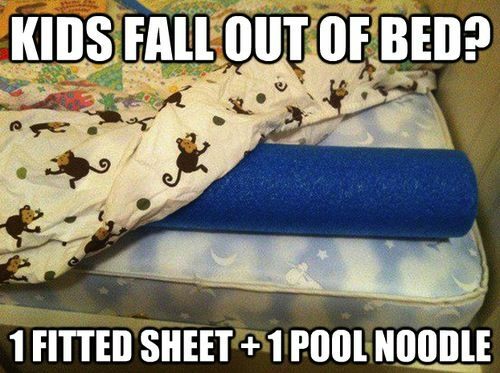 Place a pool noodle under a fitted sheet just next to the edge of the bed to keep kids from falling out. 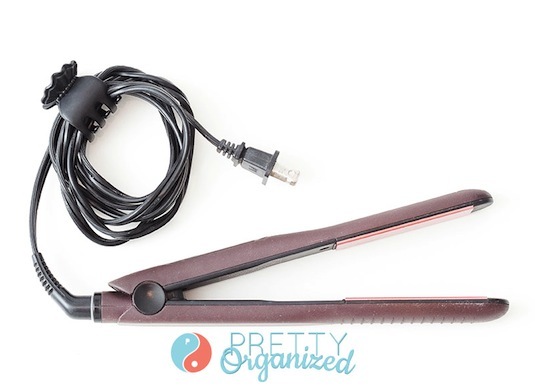 If you’re anything like me, your flat iron, hair dryer and assortment of curling irons tend to all get tangled up together, leaving you frustrated to no end. Use hair clips to keep those cords with their owners. 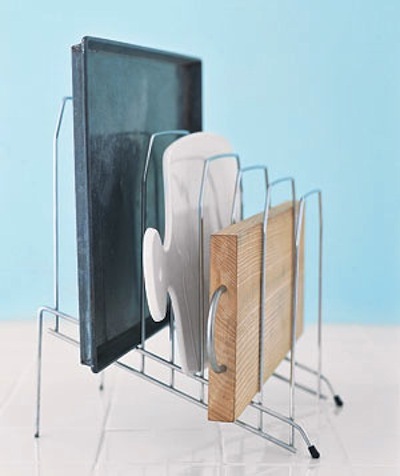 Keep your cooking pans, trays, and cutting boards in an upright position using a desk file organizer. This makes them much easier to access as opposed to having them stacked on top of each other in a pile.